Raising Your Kids to Succeed: What Every Parent Should Know describes what parents can do to be effective and help their children succeed, both in school and in life. Part I opens with some big, foundational questions, including the need for parents to realize their own importance. It goes on to discuss how to create a family mission statement, the importance of creating family traditions and rituals, and the pivotal need to model good behavior. Part II starts by exploring ways to let your kids know the importance you attach to education. It stresses the importance of really listening to your kids, reading to them, getting outside with them to enjoy nature, and teaching them life skills. Part III explores ways for you to be present at your child's school and to be an advocate for your child. It also focuses on the issue of bullying and how to counter a toxic, sexualized and violent culture. 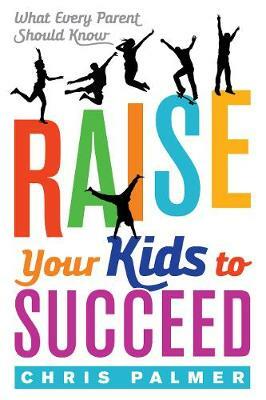 Raise Your Kids to Succeed will help your children succeed and reach all of the dreams that you have for them-and, more important, the ones they have for themselves. Chris Palmer has the rare ability to give us the big picture of the challenges of raising kids today but also offers very practical and do-able solutions that will deepen your understanding and connection with your children. This book is unflinching, but kind and will very likely leave you feeling, 'I can do this.' -- Kim John Payne, M.ED. author of "Simplicity Parenting", "The Soul of Discipline" and "Being At Your Best When Your Kids Are At Their Worst"
There was a time, not long ago, when most of the suggestions made in Chris Palmer's book Raise Your Kids to Succeed would have been simple common sense. Unfortunately, many Americans now find themselves immersed in a culture which teaches that kids' relations with their same-age peers are more important than kids' relations with their parents. One result is too many boys staying up past midnight playing video games, and too many girls staying up past midnight Photoshopping their selfies for Instagram. Chris Palmer's book offers a useful dose of sanity. -- Leonard Sax, MD, PhD, author of four books for parents including the New York Times bestseller "The Collapse of Parenting"